T.W.Purchas were located where the "Charles II Bar" is in Ross now (12 & 13 Broad Street). 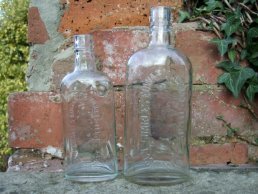 They were "Wine and Spirit importers" and were established in 1790 and the company remained in Ross until the late 1800s or early 1900s. This is a T.W.Purchas bottle with its embossed design. 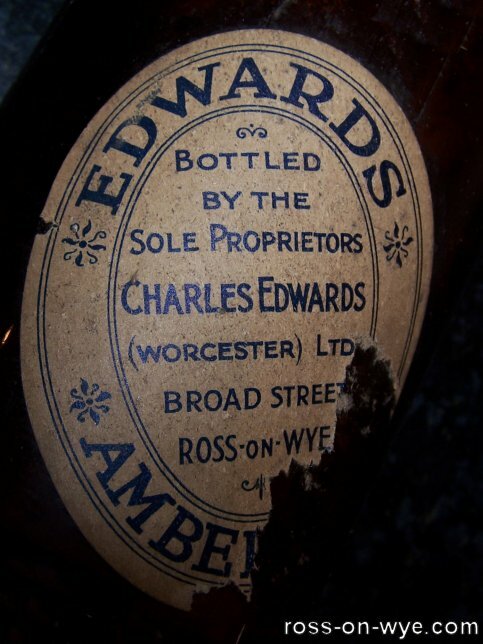 By 1923 Purchas had become "Edwards - Charles Edwards (Worcester) Ltd" and also known as "Chas. Edwards Ltd". They remained on the site until sometime between 1938 and 1949. By 1949 the site was known as the "King Charles Bar". 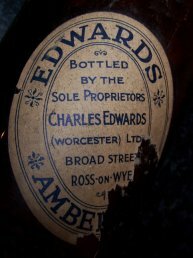 This is the only example of a Charles Edwards bottle with a printed label attached to it (even if it is only a partial label). 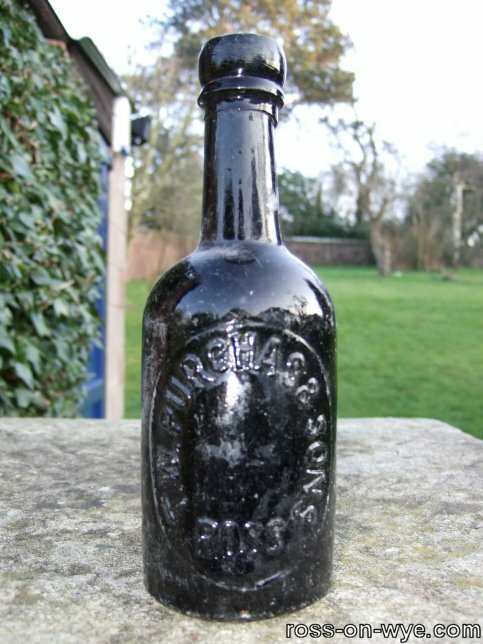 All the other examples are molded bottles with the name embossed into it. 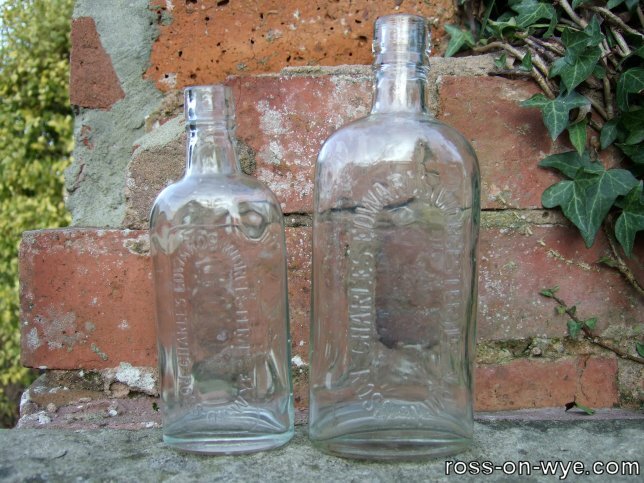 This is two examples of Charles Edwards embossed bottles.